Mac's has a new coupon! 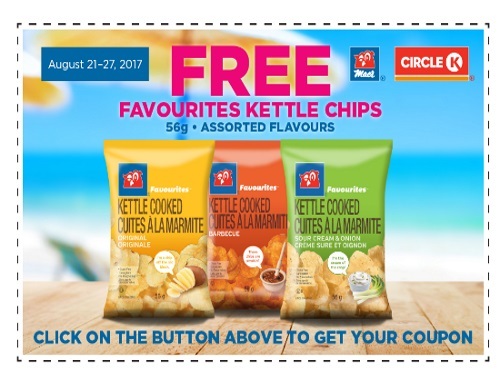 Get a Free Favourites Kettle Chips (56g) with the coupon below. Assorted flavours to choose from! Coupon is valid August 21-27, 2017 at Mac's and Circle K stores in Ontario.